La Tomatino: An annual event, this festival is celebrated on the last Wednesday of August in a small place in Spain called Buñol situated in Valencia. 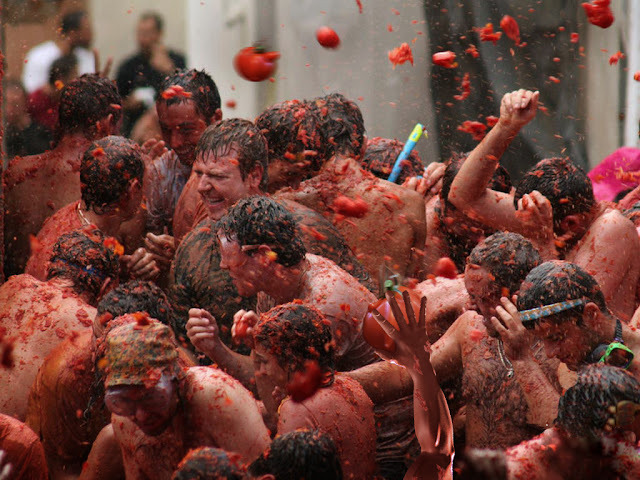 The star event of this festival is a tomato food fight, with everyone pelting tomatoes at each other. This event uses 200 thousand pounds of tomato and has more than 30 thousand people participating. They fling tomatoes at each with gusto and leave behind a sea of red on the streets of the town. This event is supposed to be a part of their prayers for bountiful harvests. San Fermin: This festival’s exotic celebrations start in the first week of July and last for a week. 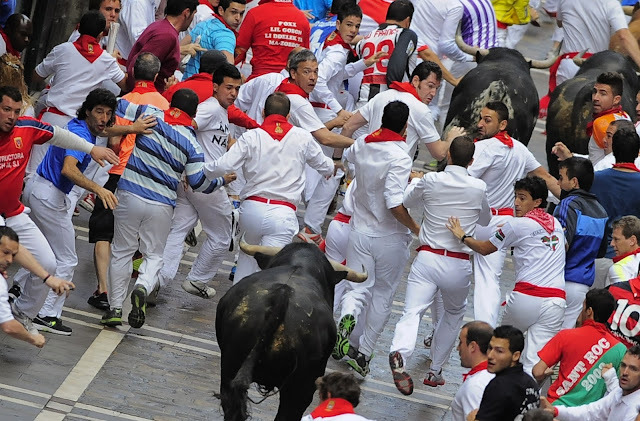 Also known as the Pamplona Bull Run, this event invites intense tourist curiosity and visitors from far and wide. The festivities usually begin at 8.00 in the morning and last till the end of day. 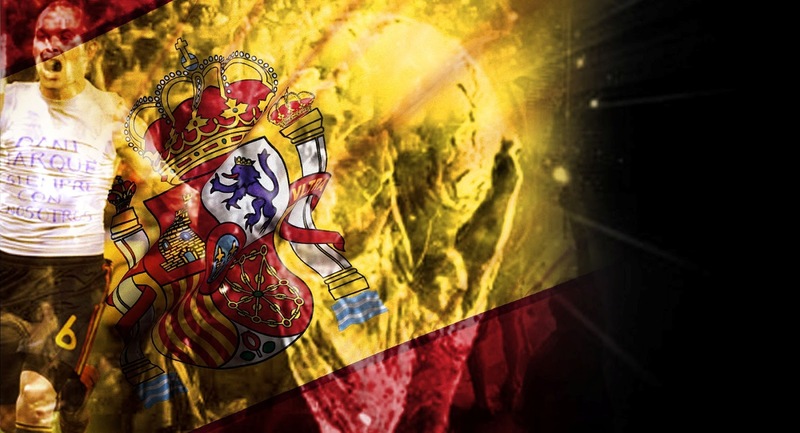 The main events of the San Fermin celebration involves bull fighting and bull running.